» Smart-Kids Read! Level 3 Book 4 It's magic! Smart-Kids Read! Level 3 Book 4 It's magic! The Smart-Kids Read! series is designed to help children learn to read confidently and to enjoy reading. 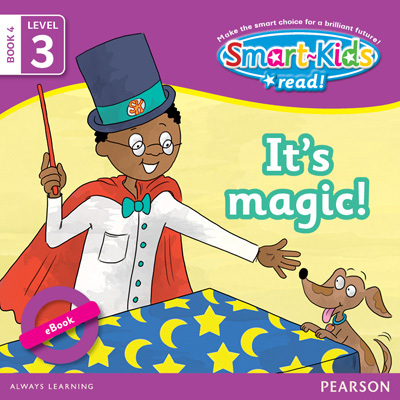 The Level 3 books are perfect for children who are ready to read short paragraphs.